Charles thought he would be a good boy and save some of it for later. Only he didn’t put it in the freezer. He put it in the fridge. Happy birthday, Charles. 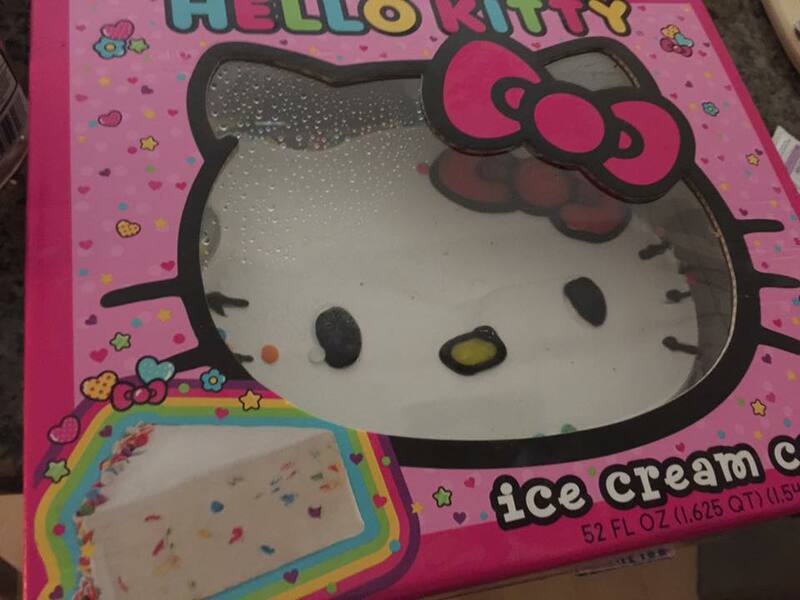 You now have the post-nuclear Hello Kitty cake of your nightmares.